Just about everyone loves cookies – we all have childhood memories of twisting Oreos apart to customise the filling-to-cookie ratio; or maybe we remember the smell of home baked oatmeal and raisin cookies coming fresh out of the oven. Licking the mixing spoon for chocolate chip biscuits was always a much-loved activity for me as a wee one, and at uni, I downed packages of Jaffa Cakes for energy before exams. But the sad fact is, most cookies (especially packaged ones) are junk food at its worst – they contain all kinds of bad fats, sugar and white flour, making your GI rise like a thermometer on a hot day in July. With the exception of peanut butter cookies, most biscuits contain way more (bad) carbs than protein, too. Whilst protein balls used to be a bit tough and bland (and frankly, many of the packaged varieties still are), there are loads of vegan protein ball recipes that are rich, fudgy and packed with the flavours of your favourite cookies – think chocolate chip, oatmeal, apple spice and gingerbread, for example. 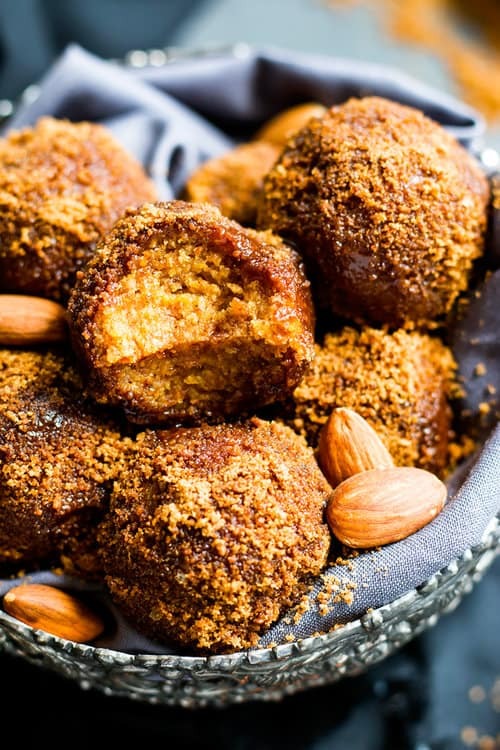 The recipes I found here below are all balls are all vegan, gluten-and-dairy-free and contain no refined sugar – though they do contain sweet stuff like honey or dates. And did I mention they need no cooking, and are easy enough for kids to make? Be creative, use your favourite ingredients, and if you’re really looking for a low GI treat, it’s fine to omit the sweeteners. 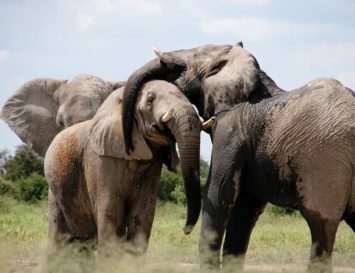 But above all – enjoy! 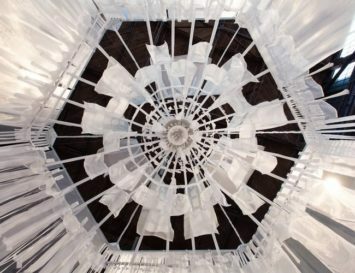 Who doesn’t want to be transcended to the tropics, if only momentarily? 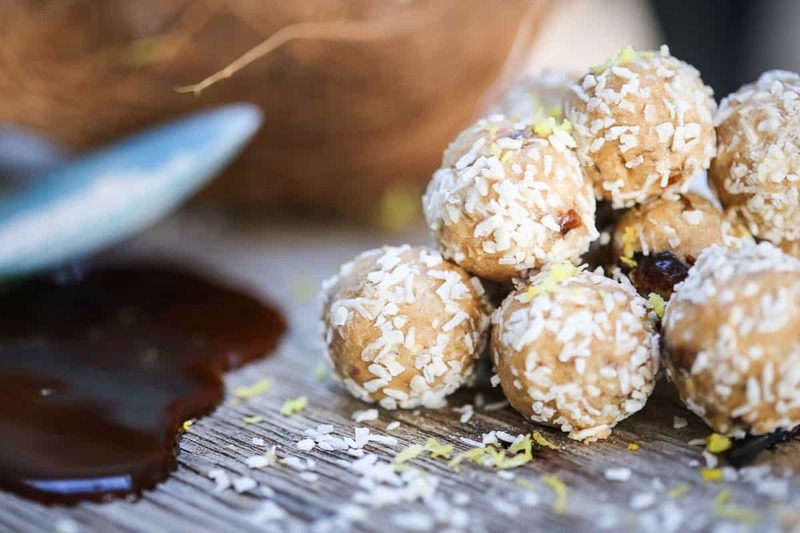 The guys over at The Protein Ball Co have given us a recipe to share with you all; it’s tropically good! 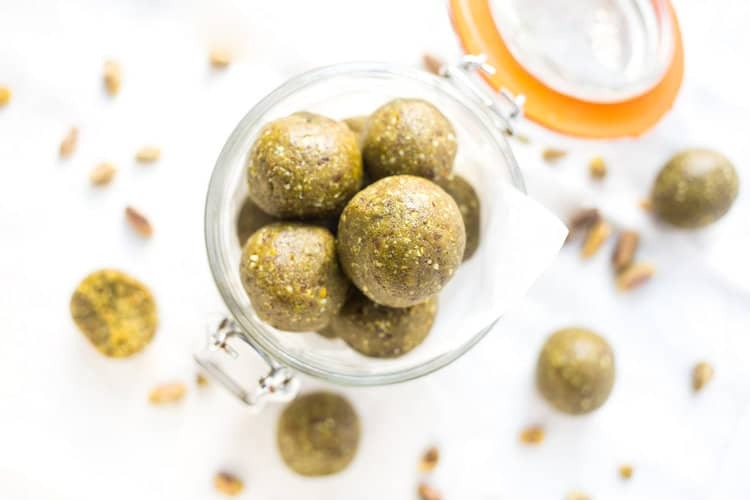 These protein balls are gooey and soft from the medjool dates and cashew butter whilst mango, apricots and goji berries add a fun and fruity twist. You can also add some plant based protein powder into these and use them to fuel you either pre/post workout. Preparation time for these delicious treats takes just a few minutes to make and require hardly any washing up. Makes approx. 15 balls, depending on the size of each ball! Who needs cookies when you could have these alongside your daily cuppa? 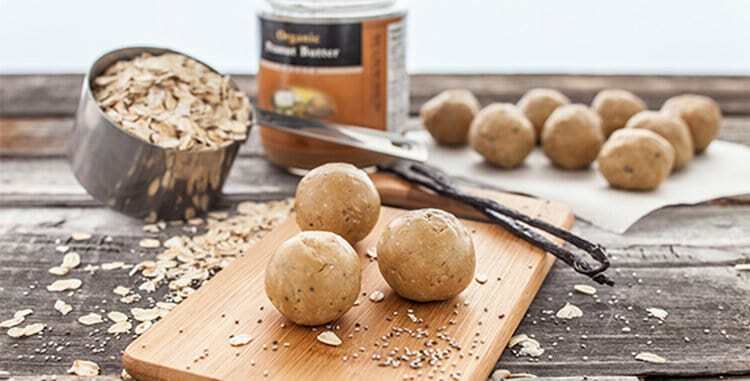 Just imagine the energy you’d have after eating one of these mocha-flavoured balls and drinking a hot almond latte! You’re taste buds will go crazy with excitement! 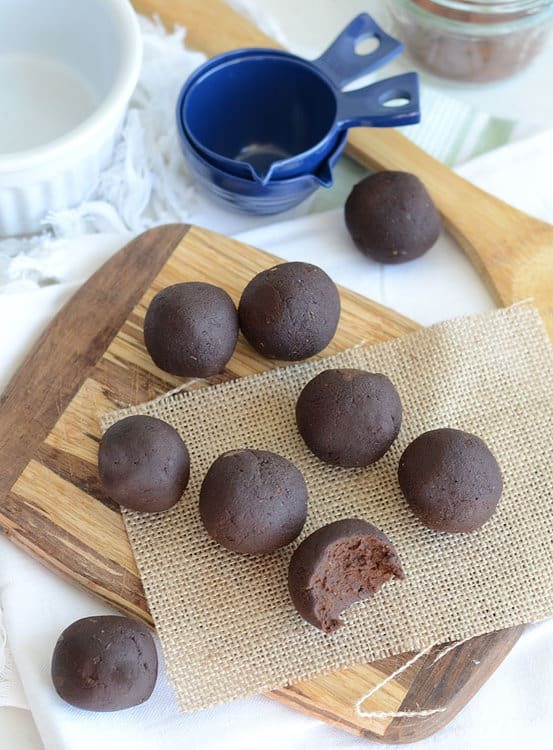 These delicious vegan balls are like heavenly desserts. They have a speckling of pumpkin spice, and the protein comes from super healthy hemp seeds. The perfect go-to office or after-school snack, this recipe is a bite-size delight that tastes just like homemade apple pie, but with way more protein and calcium, thanks to the almonds. Perfect for a post-workout snack, these are packed with vegan protein powder – choose whichever brand you fancy. You can also add chocolate nibs, dried fruit or whatever other tasty treat you’d like to add. Like a bit of blueberry pie in a ball! These are packed full of organic proteins, which is ideal for anyone on a vegan diet, and they also have the added tartness of lemon – a perfect partner for the blueberries. I know what you’re thinking: she put a truffle recipe here by accident, right? 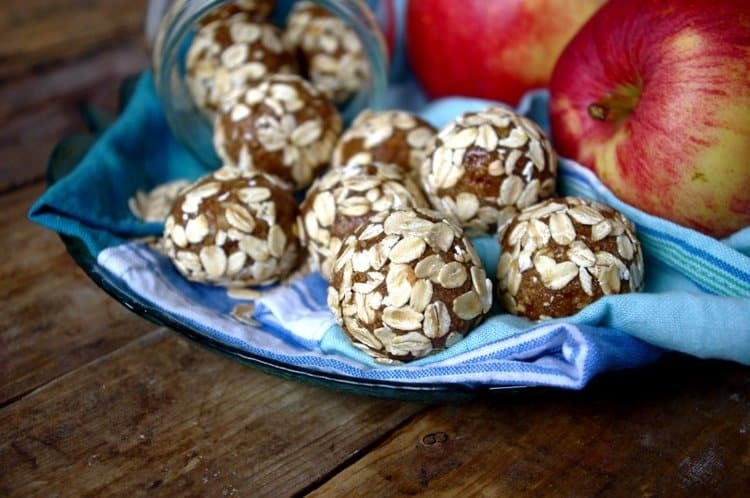 Nope, my friends – these amazing looking balls are actually sugar free, healthy protein balls. But they DO have all the flavour of a truffle! With a refreshing combination of ingredients, these yummy bites are bursting with flavour, with a warming kick from ginger. These are actually available to buy in health foods shops, but why not make your own? How gorgeous do these look? 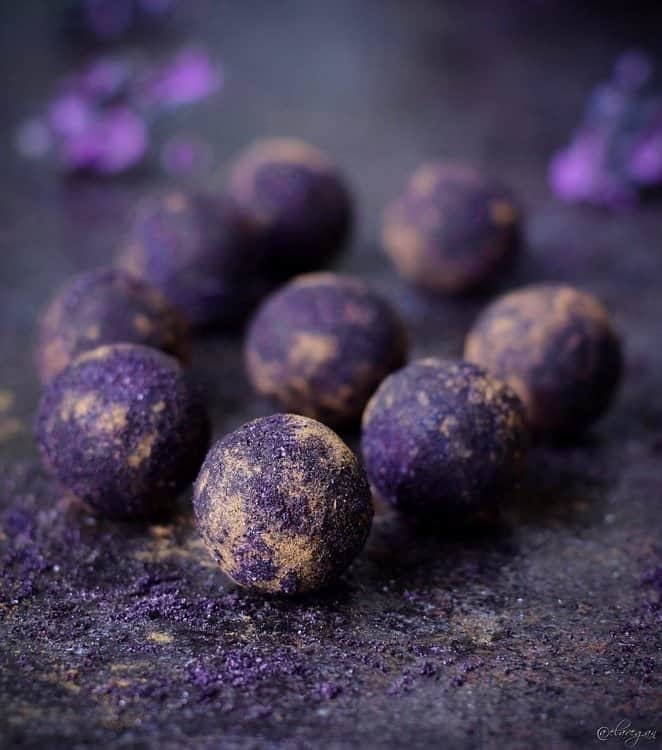 They’re a perfect staple for vegans, these yummy, chewy energy balls are a good source of fibre, with the most beautiful coconutty flavour in every bite. 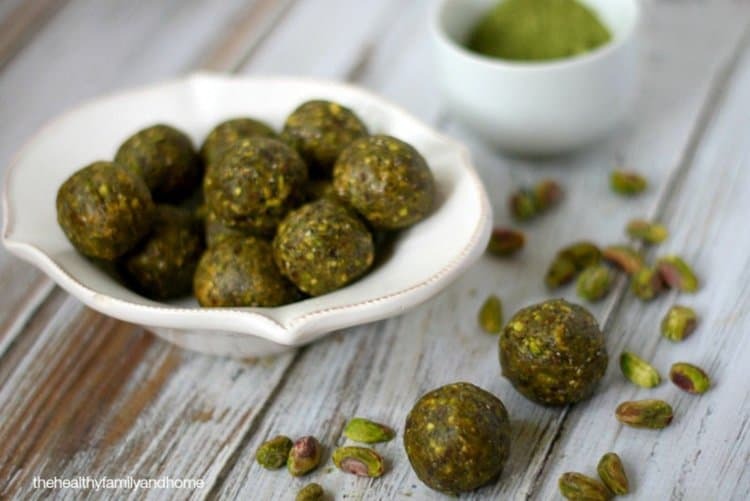 These nutty balls are packed with antioxidant green tea powder, as well as other highly nutritious ingredients so you’ll know you’re eating a healthy treat that is well-balanced. These are easy to make, but the variety of flavours and textures really comes from whatever you roll them around in – think sesame seeds, cinnamon, chia seeds…whatever you fancy! These may look basic, but the combination of chocolate, coconut, nuts and orange makes them rich in both flavour and texture. Is it just me, or do these flavours evoke a bit of Christmas time for some reason? In any case, I can testify these go down very well with a nice espresso. Made with only 5 ingredients, these super-healthy tidbits are the perfect homemade snack. They contain no refined sugars and are raw, vegan, gluten-free and Paleo-friendly, too! My tip? Add a dash of organic rose water for a gorgeous Persian flavour. 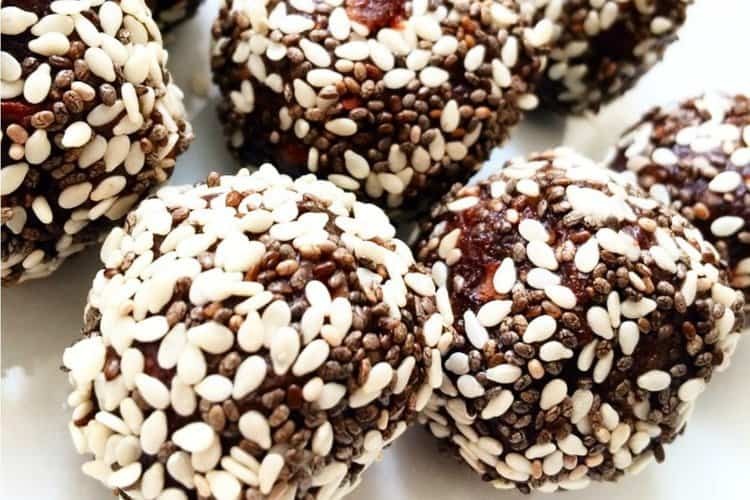 Packed with an amazing mixture of chia seeds, walnuts and dates, combined with dark chocolate and sea salt, these are guaranteed to give you an energy boost, especially before or after a workout. Cocoa powder, peanut butter and bananas – it sounds almost like a cake, and that’s pretty much how these taste! 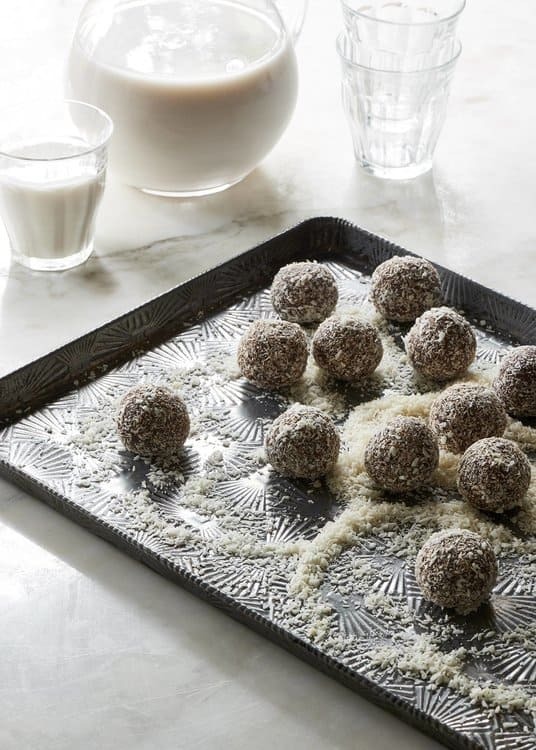 To make these fudgey-textured balls look a bit fancier, just roll them in some cocoa powder. I love this recipe, because it has superfoods from two totally different countries: quinoa from Peru, and matcha from Japan. They both add up to a wonderfully healthy (and rather cosmopolitan) snack. Who needs poppyseed muffins or cake when you can enjoy these flavourful, easy-to-make lemony bites. These are perfect as a tea-time treat without the added calories – but PLEASE NOTE: do NOT use Truvia as stipulated in the recipe – this stuff is poison! 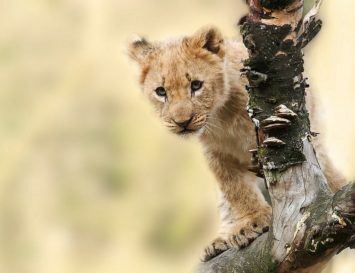 (click here to see why). Please substitute pure Stevia instead! Talk about superfoods! 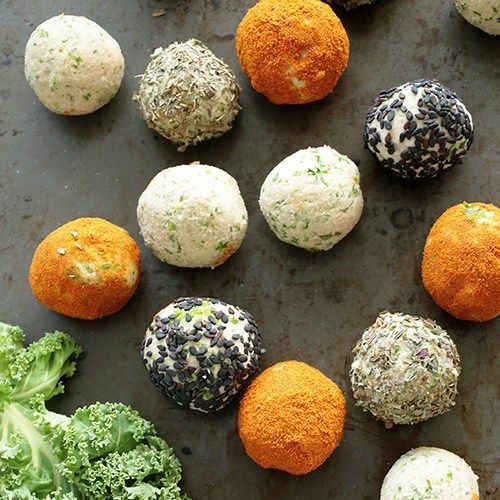 From Maca to Spirulina powders, Hemp to Chia seeds, these balls have it all! Seriously, they’re a perfect representation of all the best, most nutritiously dense foods you can think of. They’re practically medicine – if medicine was really, really tasty and lovely to look at. Those thin After Eight dinner mints have been popular for decades, and now these bite-sized snacks contain that most loved combination of flavours. Energy boosting, seriously gooey and simply moreish. There is happiness in every bite, you might find yourself enjoying them all to yourself! Sweet, spicy and nutty. Who doesn’t love carrot cake? 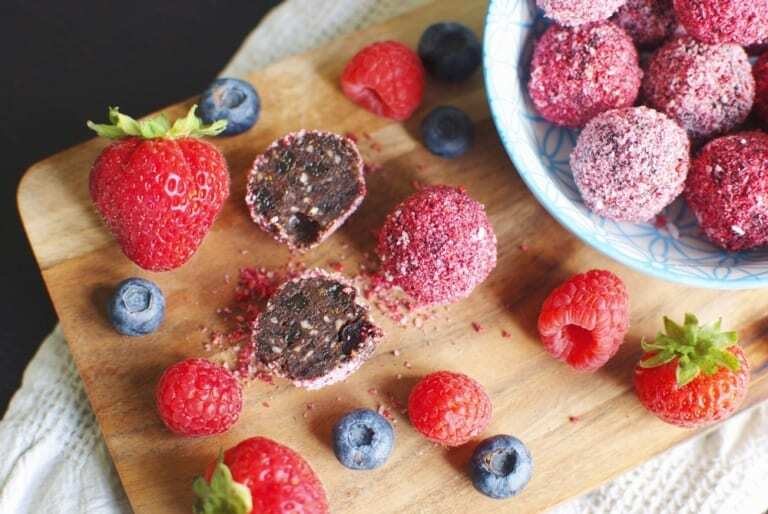 But it’s usually packed with dairy and sugar, so when you crave those delicious flavours, try these energy bites instead. 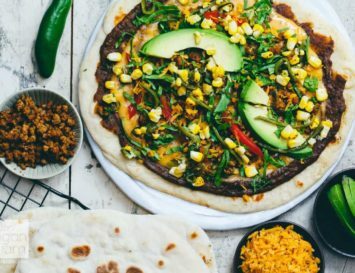 This recipe will have everyone helping themselves to more than just one. I get frequent cravings for oatmeal cookies, but when I learned this recipe, this became my go-to snack. Just as tasty, but with a nice protein kick from all the nuts. Ah, turmeric! That most trendy of anti-inflammatories. It does wonders for your health on its own, but combined with nut butter and protein powder, these are also real muscle builders, too. 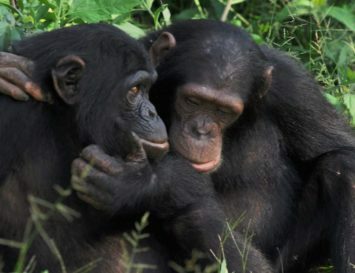 How adorable are these? I love the addition of the stick and sprinkles – makes these look more like a candy than a healthy, chocolate flavoured protein ball! Talk about the taste of summer! 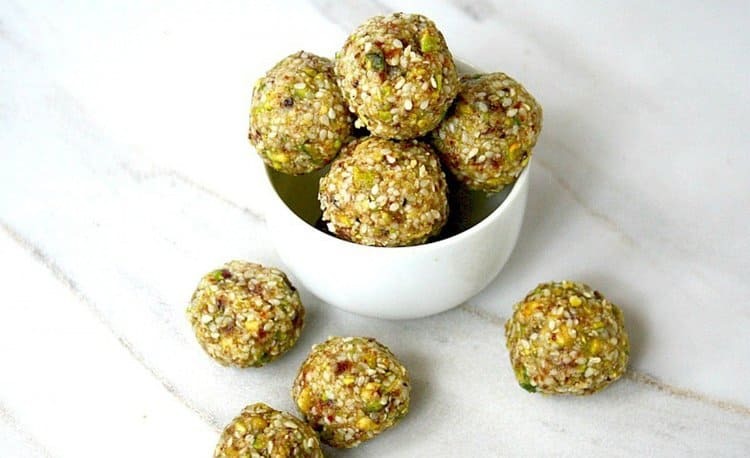 Bursting with citrusy zing, these protein balls would also be tasty frozen when the heat’s really on…now there’s an idea! I thought I’d save this one as a surprise at the end – protein balls don’t always have to be sweet! These ones are nice and spicy, and a little bit cheesy too, thanks to nutritional yeast. Perfect for those of you who like your snacks savoury. These are healthy enough to be a great lunch side dish, and only contain 50 calories a bite! 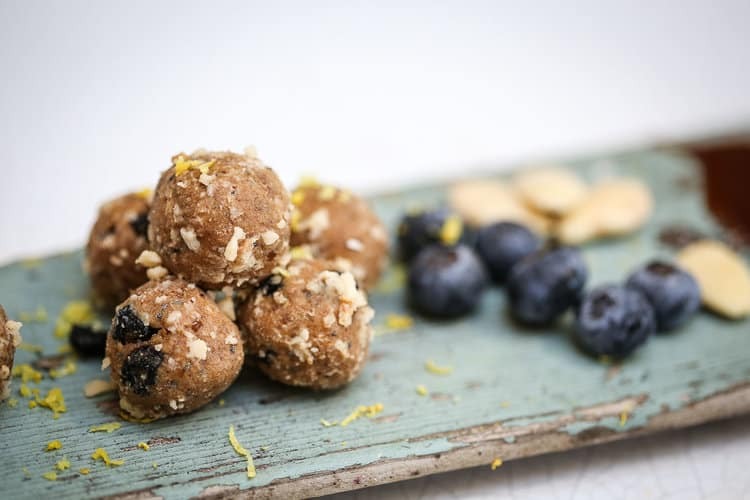 Main image: Antioxidant protein balls. Get the recipe here.